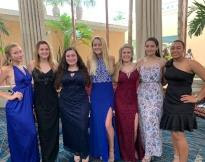 Last weekend seven Key Club officers, Ally J., Rachel M., Tierney W., Jenna M., Ayla K., Haley G., and Rayah K., attended the Florida District Convention for Key Club. The weekend consisted of over 1,800 Key Club members coming together to celebrate a wonderful year of service. During the course of the week, they were able to attend various workshops, meetings, and listen to many keynote speakers talk about how to become better servant leaders. They hope to bring back what they learned to better MCC Key Club. 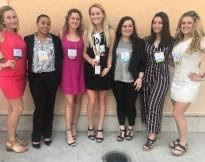 Ally J., Key Club President, says, "I am so happy I got to celebrate a wonderful year of service with so many hardworking and inspiring servant leaders." The girls even won the second place Single Service Award for their work at Morgan Project. Morgan Project is a local facility for kids that have various physical and mental disorders. This weekend was a wonderful way for these senior girls to wrap up their four-year commitment to Key Club. Best of luck to all the attendees in their future endeavors!